Call Spoofing or Caller Id Spoofing is another trick that spammers used to trick people by making fake calls. With this trick a person can make a call that may appear to come from a fake number he decides. Cyber criminals can use this to make abusive and threatening calls with fake numbers. The victim will blame the number owner for that call. Think how harmful it can be if the cyber criminal has used your number for any criminal activity. In this post, we will see what is call spoofing, how to make spoofed calls and how to protect yourself. Call Spoofing is also called “Caller ID spoofing” because it deals with caller id. When someone calls you, your mobile phone or land-line phone with caller Id displays the caller’s number (along with name if number is saved in contacts). In Call Spoofing, a person tries to fake calls with wrong caller ID. So, a call may appear to come from any fake number that may or may not exist. A person can call you from any numbers he wants to display on caller id. First caller ID spoofing service came into existence back in 2004. It was star38.com. It was the first website which offered people to make calls with fake caller id. But this site could only run for a year. After that, many sites came into existence and now we have more than 100 websites offering similar kind of services. This is can be seen as email spoofing in which emails is sent in the way that it appears to come from any email id sender want to show. There are many online services are available that allow users to make a limited number of spoofed calls for free. If you want to make more spoofed calls, you need to pay few bucks. But this is affordable. See these services to make a spoof call. These services are easy to use. You only need to enter source number, destination number and caller id number. And then make calls. There are also few free call spoofing websites. You should also see these websites for Making Fake Calls. Although, cyber crime police try to shut down all these kind of websites that may be used in cyber crimes. But there are many still exist. There are many popular websites that have been blocked by officials. Attackers can use call spoofing for many cyber crimes. These may be the main reasons. Making abusive or threatening calls. Making calls from bank numbers to ask users personal banking details. Marketing company using this to fake a number to show that it comes from local area. And then trick users to sell their services. 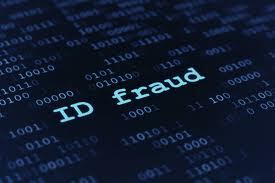 Most of the fraud people use spoof calls to perform bank frauds. So, you must take care and know how to protect yourself. In history, various incidents have been recorded related to call spoofing. People trust on Caller Id and there is no foolproof method to prevent spoofed calls. But there are few ways that you can follow if you are not sure about the call and think that it may be fake. Never give any personal and secret information over the phone. If the call is claiming to come from bank, never give your personal banking details and banking passwords. If you are not sure, hang up the call and call them back. Never put all trust on Caller Id, if you are receiving abusive or threatening calls call back to verify if the call was from the number it was showing. You should know that performing caller ID spoofing or making spoof calls is against the law. If you face any issue related to this, you should contact to law enforcement and report this crime. If you have any query, you can ask via comments.